Make this new home a must see on your list. Open floor plan complete with plank style flooring, vaulted ceilings, fans, recessed lighting. Kitchen offers center island, soft close cabinets, easy care solid surface counters and beautiful glass accent back splash. All bedrooms are large and master even offers 2 closets which one is a spacious walk in. You will love the master bath with double sinks and awesome walk in shower with again beautiful tile and accents. Backyard is fully fenced with double gates room for a pool and large shady covered patio. 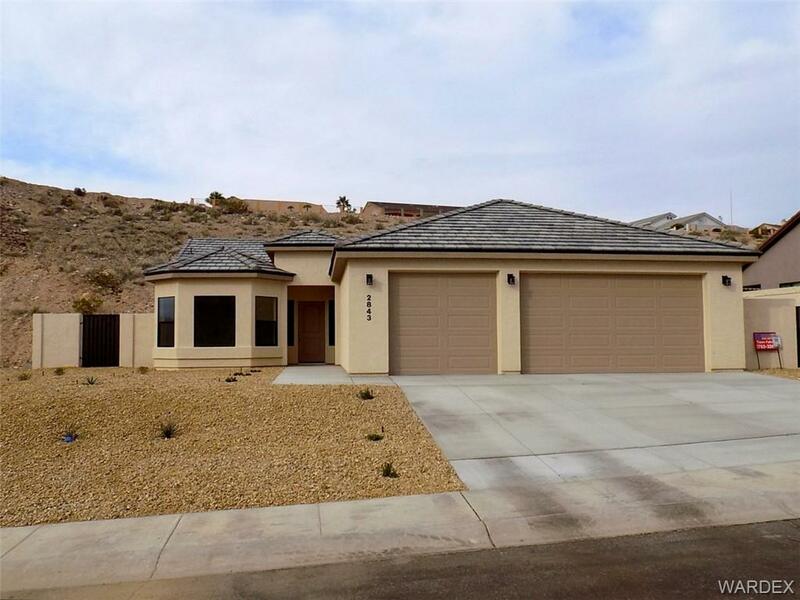 Community is gated and located within minutes of the casino town Laughlin Nevada and Lake Mohave. Reasonable HOA fees at $150.00 per quarter.